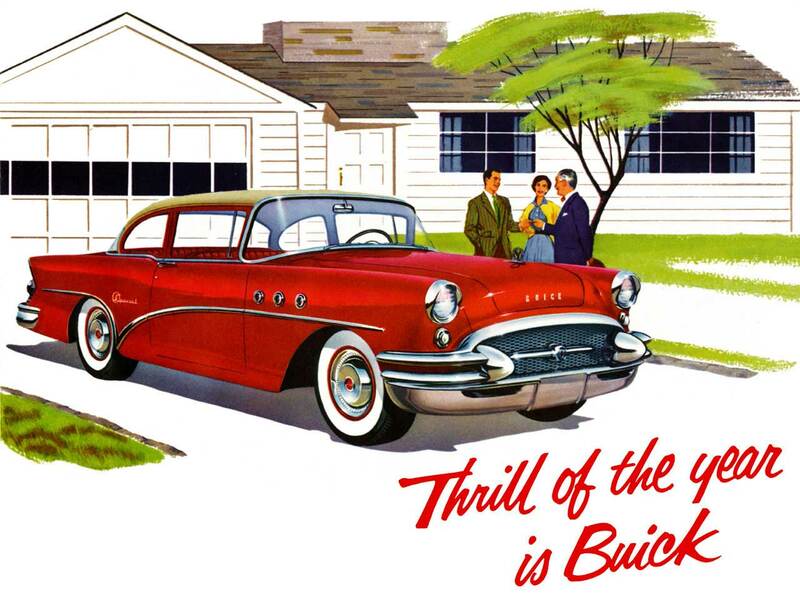 The new model line for 1955 not only had sold or two-tone paint – but also three-tone paint. 20 base colors were available. Five of them were introduced in Spring 1955. They are: Y (Mist Green), W (Spruce Green), P (Caded Blue), X (Nile Green) and F (Colinial Blue). 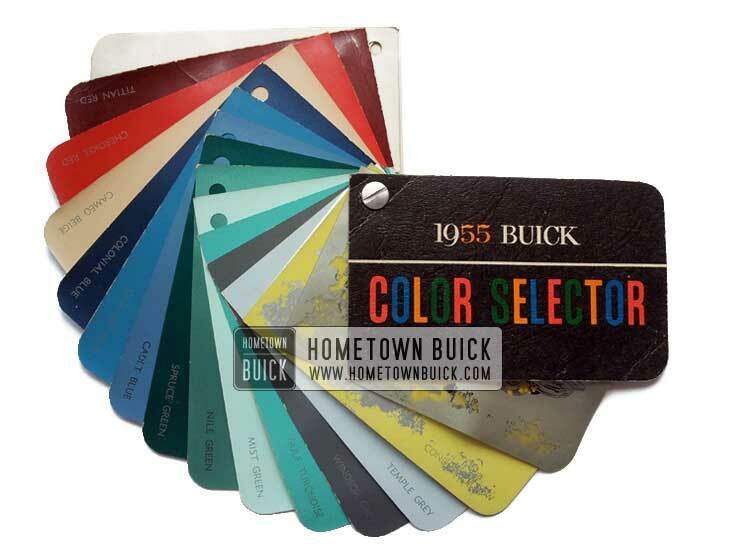 To simplify the color indication, Buick decided to discontinue the color indication from 1954. From now on, a letter for each paint specifies the color for the paintable area. Available at no extra cost for all models.